Wrong. I am a firm believer in the physical laws of Nature, as well as the spiritual laws of the Universe. And the Law of Attraction is a major force operating in all of our lives. As a matter of fact, I believe the Law of Attraction plays one of the most vital roles in our own feelings of happiness, joy and fulfillment. So, it is actually easy to shift your attitude to adjust your perception of the world around you. And I’m going to tell you the easiest, fastest, most effective, but sadly the least-used approach to losing the blues. It is simply this: living in gratitude. Again, I’m sure you’ve heard this one before. But have you tried it? I mean really tried it? And I mean consistently for more than a few days, or even a week? Come on, be honest now! When I take this approach with clients, I often tell them they need a gratitude list. And the key is consistent use and updating of the list… which means I may have them check in with me daily to report the progress they have made with their list. I have them start simple. Every morning start your day by writing down a few things you are grateful for. They can be big things, or small things. Then, do the same thing at night before you go to sleep. And if necessary, do additional lists during the day… especially on those very difficult days! I’m grateful for a partner who respects, loves and supports me. I’m grateful for the good health of myself, my husband and my children. I’m grateful my profession resides in the roots of my passion. I’m grateful for the lavender plant my husband planted for me yesterday. I’m grateful I more than enough money to pay my bills this week. Your gratitude list doesn’t always have to be major things. Sometimes it can be small and basic things that matter to you on some level, while others might not even notice or care about it. Whatever you have to be thankful for, write it down, no matter how ridiculous it might sound to someone else. It’s not other people’s list, so be honest with yourself. I’m grateful I saw a woodpecker on my bird feeder today. I’m grateful I have shoes that don’t hurt my feet. I’m grateful for the restraint I had today in not yelling at my coworker. At times you may need to go a level or two deeper, to really shake the negative energy out of your being. You can try making a longer list. Just keep listing things until you start to feel better! Or, write down in detail why you are grateful for the things on your list. This is also a very effective strategy. I’m grateful for the woodpecker who landed on my feeder today, because it makes me feel good to feed the birds and see new birds around my home. It helps me to feel connected to nature. When I’m connected to nature I’m more easily grounded and stress leaves my body easier. I simply feel better. See, the secret here is to get to a place of how you feel about the thing you are grateful for. It is in that space that we change our vibration and mood. 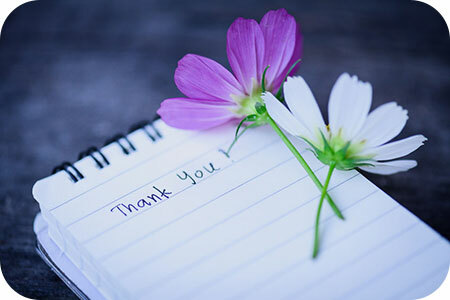 Give the gratitude list a try, but commit to it for at least 21 days. According to experts it takes about 21 days to establish a new habit. I can attest from personal experience, if you get in the habit of living in gratitude, and truly feeling grateful, you will attract more things into your life to be grateful for. That is how the Law of Attraction works.